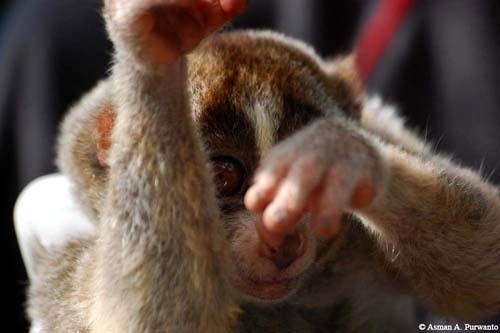 Slow lorises are a group of five species of strepsirrhine primates which make up the genus Nycticebus. 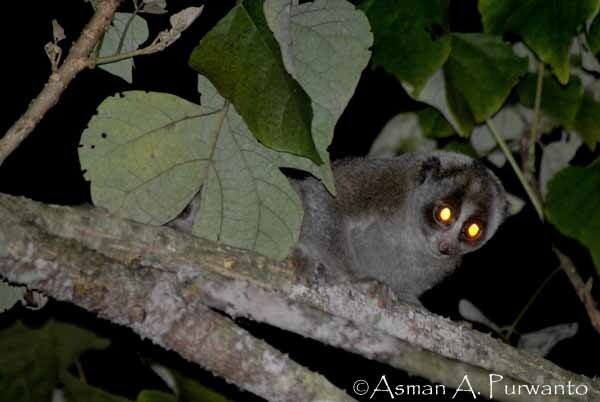 Found in South and Southeast Asia, they range from Bangladesh and Northeast India in the west to the Philippines in the east, and from the Yunnan province in China in the north to the island of Java in the south. 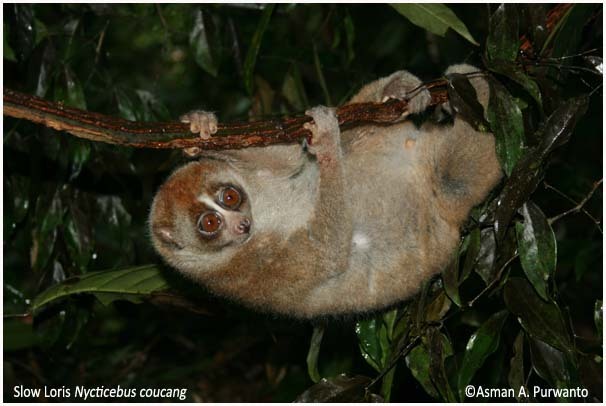 Although many previous classifications recognized fewer species, five are now considered valid: the Sunda slow loris (N. coucang), Bengal slow loris (N. bengalensis), pygmy slow loris (N. pygmaeus), Javan slow loris (N. javanicus), and Bornean slow loris (N. menagensis). 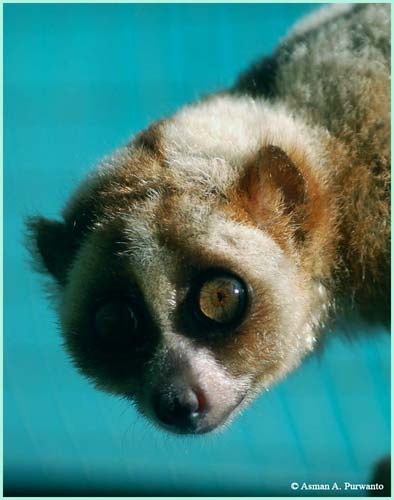 The species is listed as “Vulnerable” on the IUCN Red List. 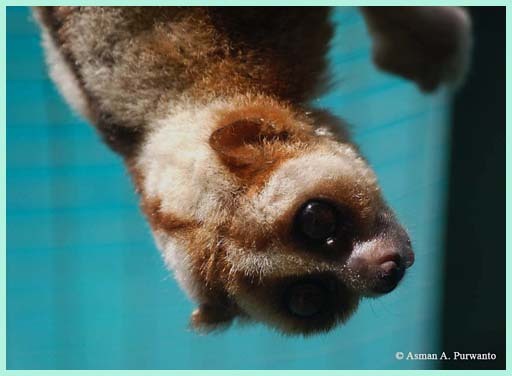 It is threatened with extinction due to a growing demand in the exotic pet trade, and has become one of the most abundant primate species on sale at Indonesian pet markets. Its teeth are often pulled out before being sold as pets which can result in infection and/or death, this process makes reintroduction to the wild impossible. 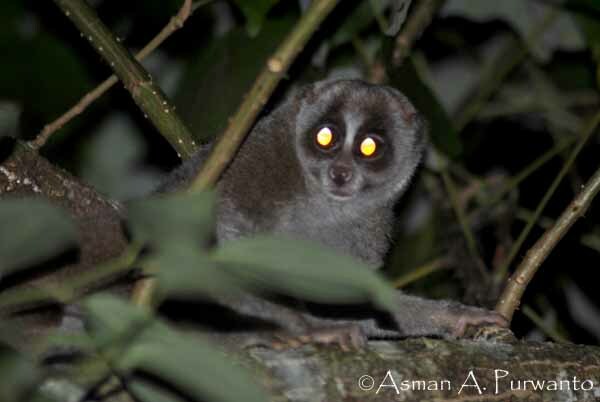 It also suffers from habitat loss, which has been severe in the areas in which it is found.